Stunning & Meticulously Maintained Executive Estate Home. Close to Marietta Square. Completely updated with New Flooring, Carpet, & Interior Paint. Welcoming 2-Story Foyer. Extra large Master Suite on Main, luxurious Bath with Jacuzzi Tub, Granite Counter & Tile Floor. Eat-In Kitchen w/ Granite, S.S. Appliances & tile backsplash. Upgraded Millwork throughout. Spectacular Great Room w/ stacked stone fireplace & cathedral ceilings. Spacious Dining Room & Walk In laundry on Main. Upstairs Boasts 3 Oversized secondary Bedrooms, plus a loft. Massive Unfinished Terrace level w/ 17 ft ceilings. Professionally landscaped uard. 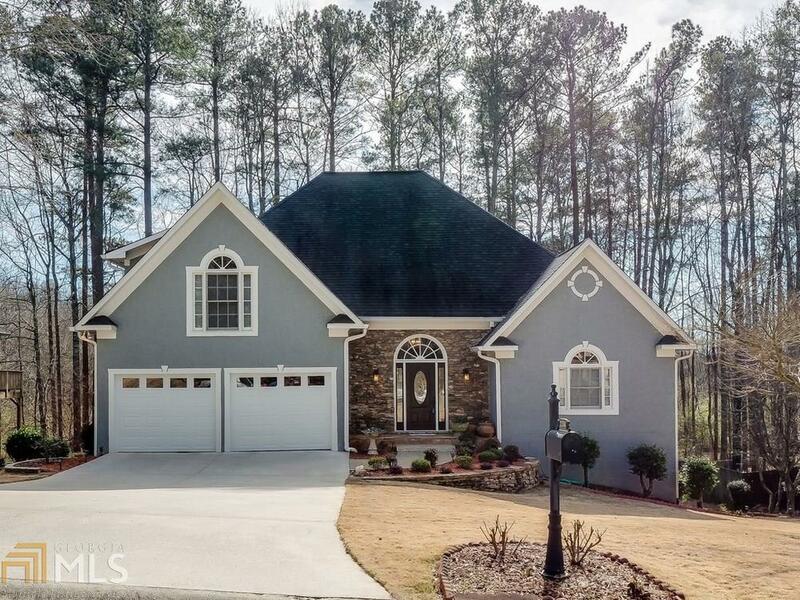 Awesome West Cobb Location. Swim/Tennis Community. Directions: From Marietta Square, Go West On Whitlock. Left On John Ward Road. Left Into Loring Square On Major Loring Way. Home On Right.